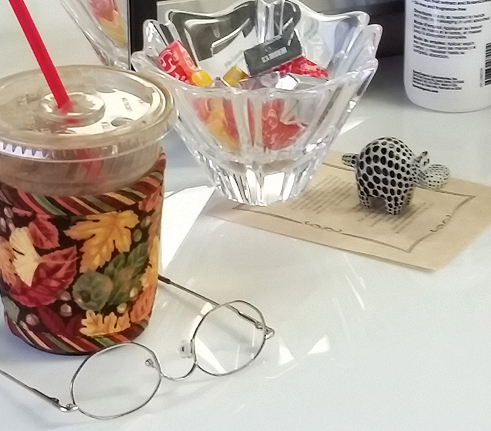 Thinsulate insulated Fall Leaves Kup Kollar on 12 ounce cold take-out cup. I picked up my iced café mocha from Roostercat Coffeehouse and walked to Salon Onze for my hair cut appointment with John Gonzales, one of two owners. 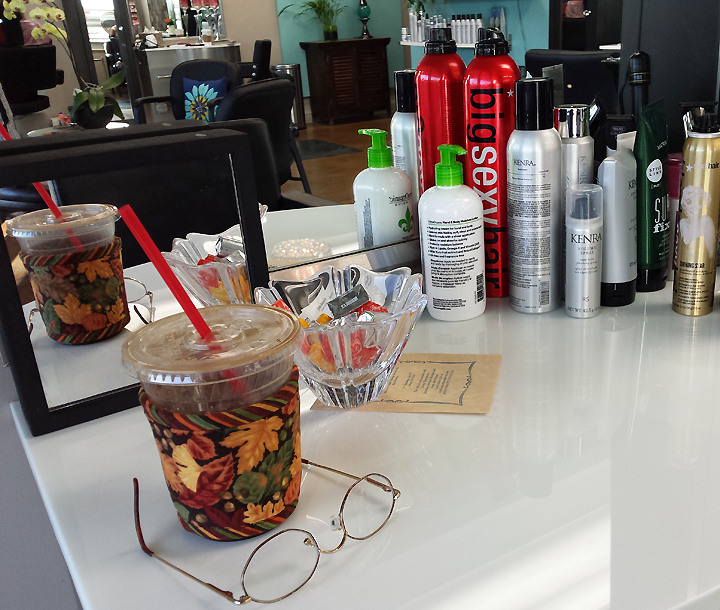 I like the salon because it’s small and private. I can relax and have a great visit with John while he works his magic on my hair. John uses Schedulicity on the Internet. I can log into my account to schedule my own appointments, make changes, and cancel for a reschedule 24/7. When I finish, an email confirms the schedule. I love this convenience! The black and white polka-dot hippopotamus is a gift to John from one of his happy customers. It's hand carved from soapstone. The customer went to Africa for a safari vacation and thought to bring back something for John. John has been cutting and styling hair for 30 years. If you need a hair stylist, John is your man!